Two new books suggest that demented world leaders like Saddam, Idi Amin and Baby Doc Duvalier might be more like that cranky guy in the next cubicle than Hannibal Lecter. When it comes to villains, who doesn't prefer a shameless fiend to a whining shirker? 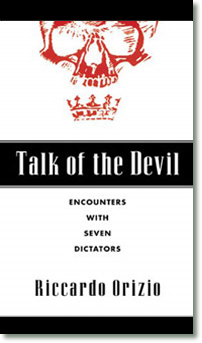 Milton's Satan, proclaiming that it is "better to reign in hell than serve in heav'n," or Iago, crowing over an opportunity for "double knavery," may be damnable, but their nihilistic bravado thrills us in a way that the plodding of an Adolf Eichmann cannot. Conscious, gleeful, unrepentant wickedness seems to crop up more often in fiction than in reality, though. Imagine if Saddam Hussein has survived this war. Imagine him 10 or 20 years from now, forgotten and powerless, living in some seedy hotel in Syria, mustache intact but white now, black beret and olive drab uniform faded and frayed, buttons straining at his belly. He'd probably see nothing to apologize for, don't you think? He'd probably be ready to defend his rule over Iraq to any listeners, with arguments, documents, lawsuits, petitions. 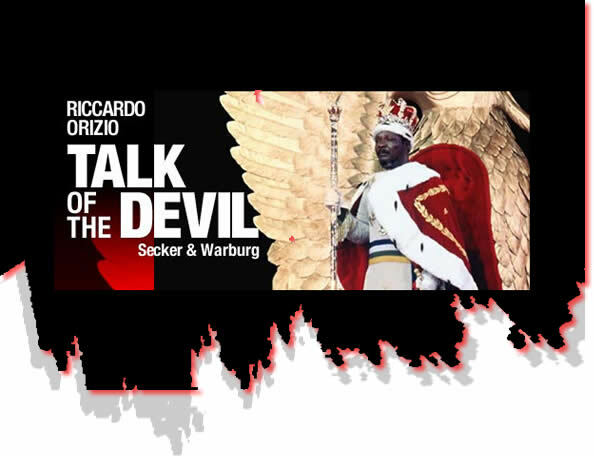 "Perhaps Orizio discovered that these demons are beyond de-demonising, for rarely does he successfully narrow the gap between "us" and "them. Instead -- from the title onwards -- this is a book of horrified gawping, albeit elegantly written horrified gawping. (...) When I picked this book up to re-read it, I found that I didn't want to. All that monstrousness was just wearying."